Deer are graceful and beautiful creatures. They are also enormous garden pests, munching away on flowers and fauna and defoliating everything in their path. It's hard to keep deer out of your garden, and no plant is deer proof, but there are some plants that are deer resistant. Deer resistant plants are those that deer tend to avoid unless they are very hungry, and while evergreen shrubs are a particular favorite of deer, there are some that they rarely consume. There are many species of boxwood, and all are deer resistant. The plant features small, rounded, glossy green leaves and tiny, insignificant flowers. Boxwood is a very hardy plant that can grow in conditions ranging from full sun to full shade, depending on the variety. This evergreen shrub can grow up to 3 feet tall and makes a terrific hedge. Common varieties of juniper are deer resistant, including Juniperus virginiana and its cousins to the south and west, juniperus ashei and juniperus scopulorum. 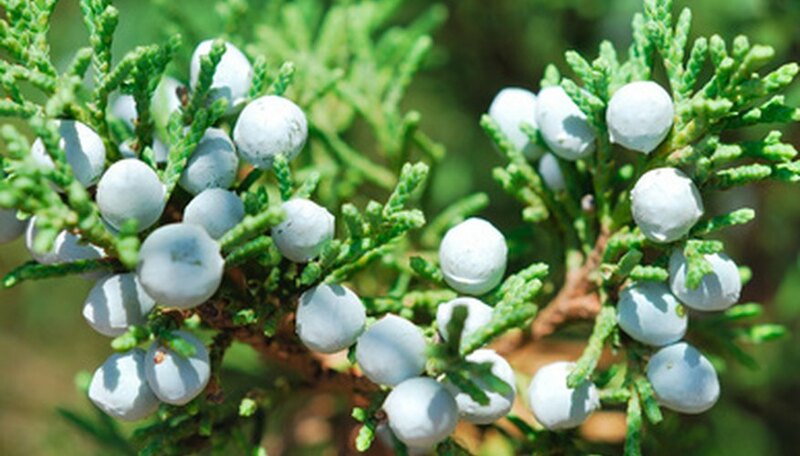 Juniper is a slow-growing, dense evergreen. Some varieties can get as tall as 89 feet, growing more like a tree, but most of the varieties are shrubs. Junipers have needle-like foliage and produce attractive, blue seed cones. The mugo pine is dense shrub that is deer resistant. The needles on this pine stay on the plant for much longer than other pines–up to four years–which makes the mugo pine a useful and attractive screening plant. The mugo pine can grow up to 10 feet tall but averages around 6 feet in height. It can grow in sun or partial shade and prefers rich, moist soil. Daphnes are toxic shrubs, and deer seem to know this. Some varieties of daphne are only semi-evergreen. The "Alba" variety, however, is evergreen. This rounded shrub grows up to 3 feet tall and wide and has attractive, early spring white flowers and red summer berries. Dianthus shrubs are short, growing up to only 16 inches tall; but they are twice as wide and form a nice, evergreen mat in hard-to-grow places. This plant is deer resistant and drought resistant. The shrub blooms all summer long with pink, red or white showy flowers.